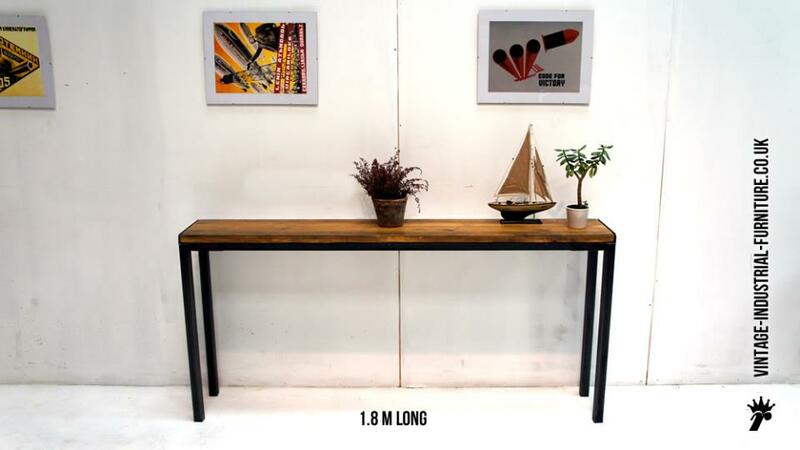 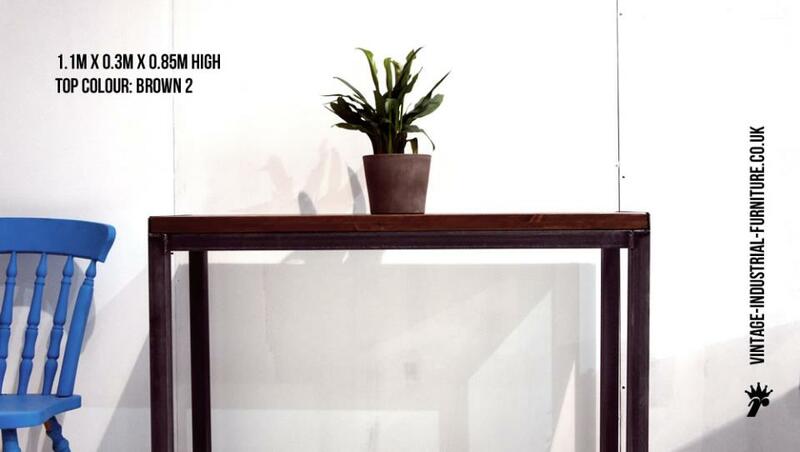 Our vintage industrial console table adds a neat touch to those narrow spaces such as hallways. 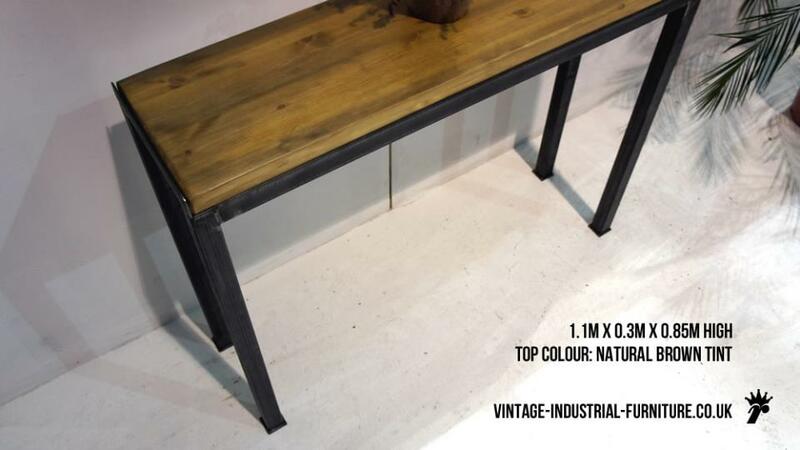 Shown here with robust angle iron legs which support an upcycled-style wooden top. 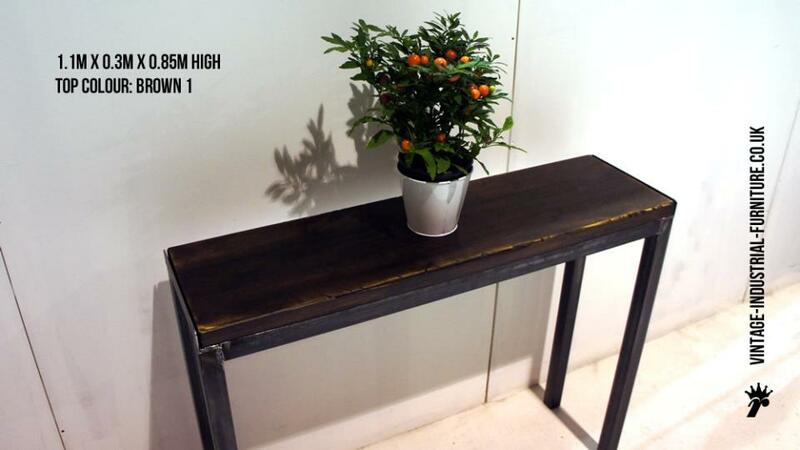 Each top has individual character with a touch of ageing. 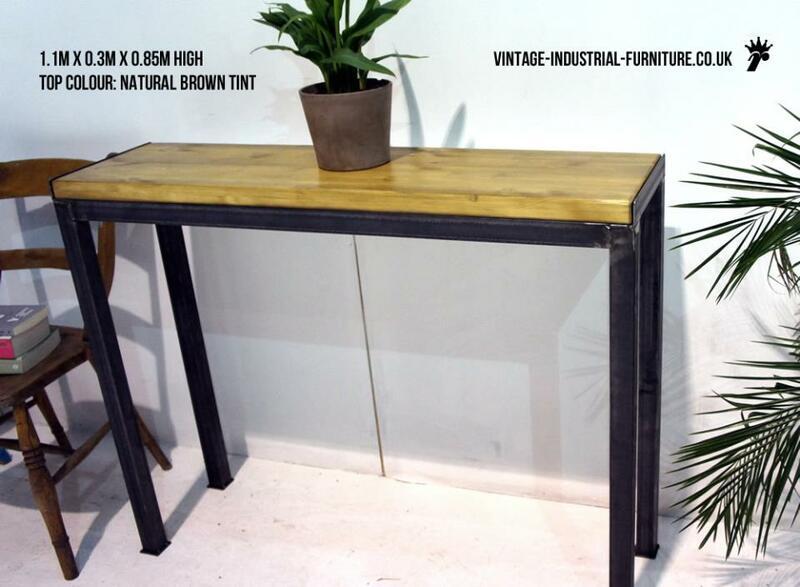 This slim industrial-style console table has quite a rustic look to it making it ideal for apartments which are in need of a bit of vintage therapy. 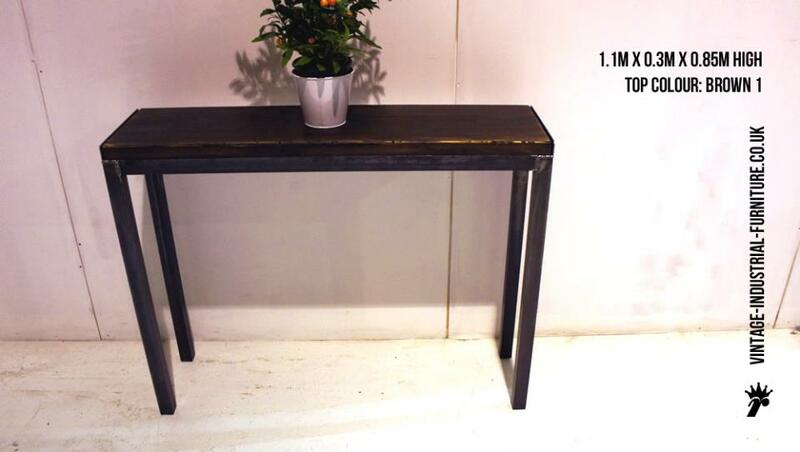 Alternatively, it would also work well in a traditional home.